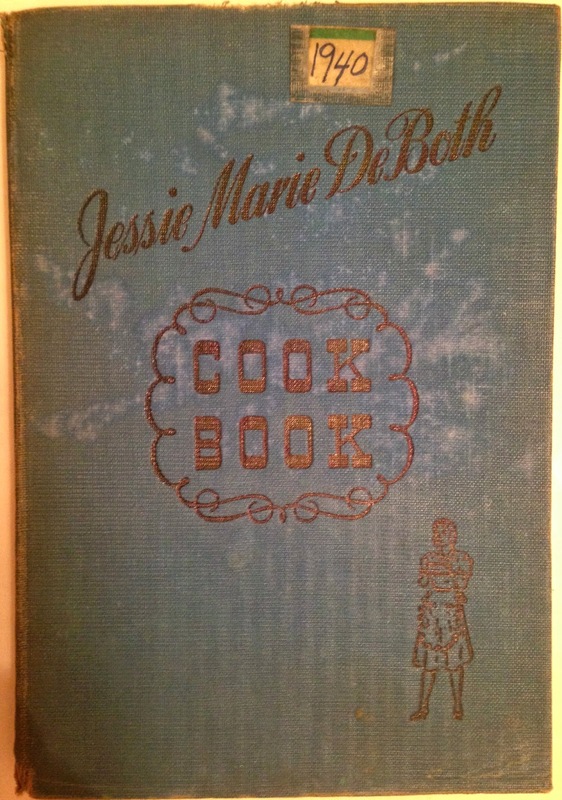 This typed recipe was tucked away inside a copy of Jessie Marie DeBoth's Cook Book, which was published in 1940. "The Brer Rabbit name comes from the mischievous Br’er Rabbit from the Uncle Remus folktales passed down by oral tradition in the 1800’s and popularized for mainstream audiences in the late 19th century by the published works of Joel Chandler Harris. In these tales, Br’er Rabbit is a trickster who wins by using his wits instead of brawn. Trickery and fun can certainly come in handy in the kitchen as you create winning dishes with Brer Rabbit!" An excellent history of shoo-fly pie appears in this 1998 Chicago Tribune article, which features the subhead "Crumbly, Sweet Confection Softens Spartan Image Of The Pennsylvania Dutch." 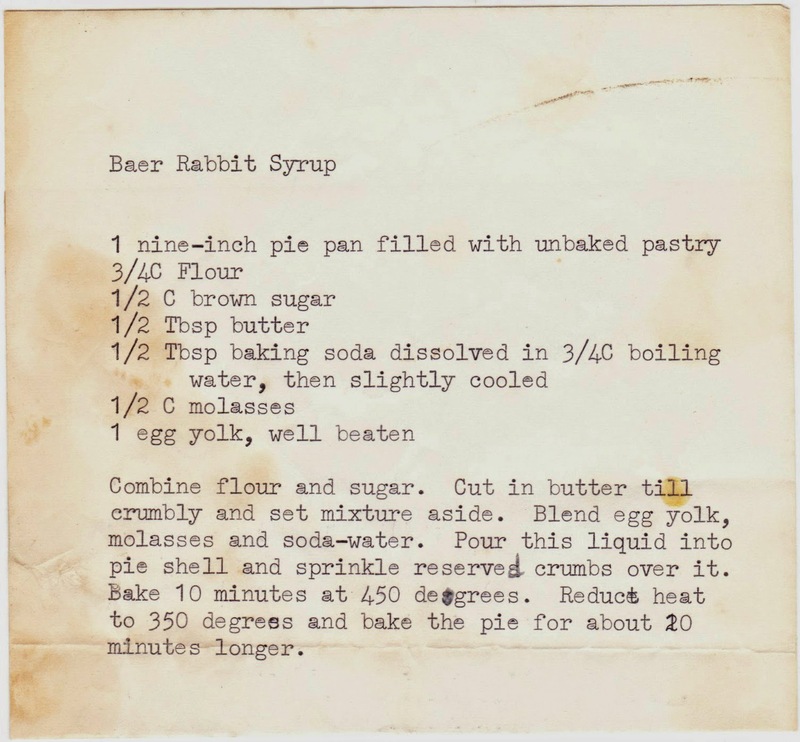 Share your thoughts on Brer Rabbit products and shoo-fly pie down in the comments section! 1. Indeed, according to the website, "Brer Rabbit molasses comes in three grades: Mild Flavor, Full Flavor and Blackstrap. Blackstrap: Bold, robust flavor used in slow-cooked dishes, like such as baked beans or barbeque sauces. Blackstrap is also an excellent source of Calcium and Magnesium and a good source of Potassium."